Beading Arts: What are Trollbeads? 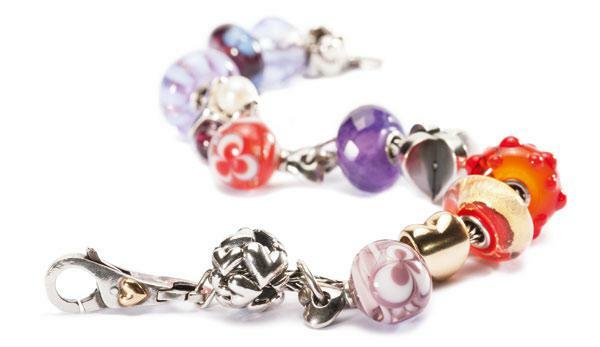 Originally designed by Danish silversmith Søren Nielsen in Denmark in 1976, Trollbeads are quirky, interchangeable charms that can be strung together on a chain. Since their creation they have grown into a global brand with a reputation for creativity, innovation and beauty. This article explores the history of these fascinating pieces and their popularity today. Originally the beads were only sold in Søren’s father’s jewellery shop in Copenhagen. Søren’s sister Lise later opened a second store in Lyngby in 1987. It was in the 80s that Trollbeads first released a chain with a removable lock, allowing customers to play around with different bead combinations for the first time. Lise Aagaard introduced glass beads to the collection in the 90s. Typical pieces can include silver, 18ct gold, pearl, precious and semi-precious stones and glass. The most popular beads are made from Italian glass, using a technique called lampworking, flameworking or torchworking, where glass is melted with a torch or lamp. Once molten, the glass is formed by blowing and shaping. Until the 1990s Trollbeads could only be found in the family jewellery shops in Copenhagen and Lyngby, but then Lise Aagaard starting distributing the jewellery all over the world. By the year 2000 the first competitive imitators started surfacing, so customers began paying more attention to Trollbeads-approved distributors, to ensure that they received the real thing. Every Trollbead is designed in Denmark and hand finished, supervised by Lise. It means that every piece of Trollbead jewellery is unique even before it has been customised by customers who enjoy mixing and matching beads from different pieces. The designs are inspired by mythology, nature, astrology and history. You can find all sorts of bead designs, including snakes, snails, feathers and abstract designs, offering the opportunity to build a piece of jewellery which is perfectly tailored to someone’s personality or interests. In Denmark a troll isn’t a small plastic doll with long pink hair. 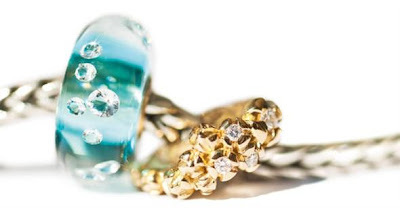 No, in Danish folklore trolls are cute forest dwellers who play tricks on humans, stealing and hiding items, so some of the most popular Trollbeads will feature beads which are designed to represent these mythical creatures. The secret to the success of Trollbeads? It’s hard to say, but innovation, experimentation, creativity, warmth and intimacy all help to make the brand what it is today. They have consistently set jewellery trends instead of aping them, and this may be due to the fact that they allow their designers time to come up with fresh, innovative designs that capture the imaginations of jewellery buyers around the world. AlanCairns writes on several subjects including jewellery design and metalwork.